Flowfold products are made from strong, durable fabrics and materials that hold up in the outdoors. I've put their products to the test in just about every type of weather and they withstand everything - from skiing in Colorado to rock climbing in the White Mountains to miles and miles on the trails with my dogs, they prove that Maine made is the way to go. I like to invest in products that will last, and Flowfold has that figured out. Supporting a Maine business means a lot to me. I grew up in vacationland and it made me who I am today. When you buy local, you are supporting hardworking Mainers who strive to provide the best! Flowfold is constantly involved in their community and promotes sustainability. I love hiking, skiing, climbing and trail running.. but I also love coffee shops and traveling! 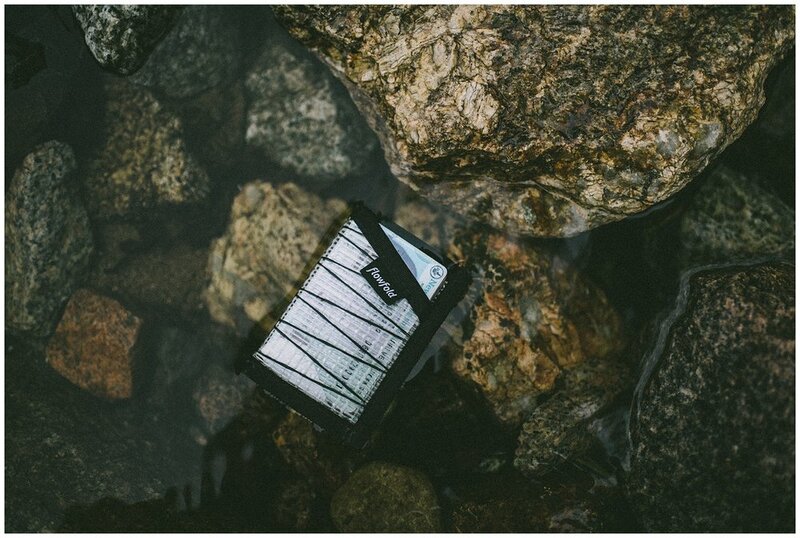 Flowfold makes products that are ready to battle the elements but also perfect for traveling and day to day life. From wallets to purses to duffles, they've got you covered! My dogs are everything to me. They go just about everywhere with me and I never leave home without their Flowfold leashes. They partnered with Sterling Rope, another Maine based company, to create a leash made from reclaimed scraps! (yay recycling!) Their new dog collars are coming out next week so stay tuned! Flowfold constantly supports me in my adventures, whether they're sending me new products to test, cheering me on when I go on big adventures or checking in on my pup who just had surgery. The personal connections that I've made with the team at Flowfold mean the most to me. I've worked hard at making my way into the outdoor industry as a photographer and they've helped me achieve that by believing in me and my work. Being part of Flowfold, even in a small way, brings me so much joy and so many opportunities. James and Nick have always cheered me on and their support means more than words. Thanks for checking out my top 5 reasons why I love this company and their products. One of the items I brought to Everest Basecamp was my Flowfold shirt, to show them that a company from Maine can make a huge difference.